For more than a hundred years, Midwest BankCentre has guided St. Louisans through important financial decisions. 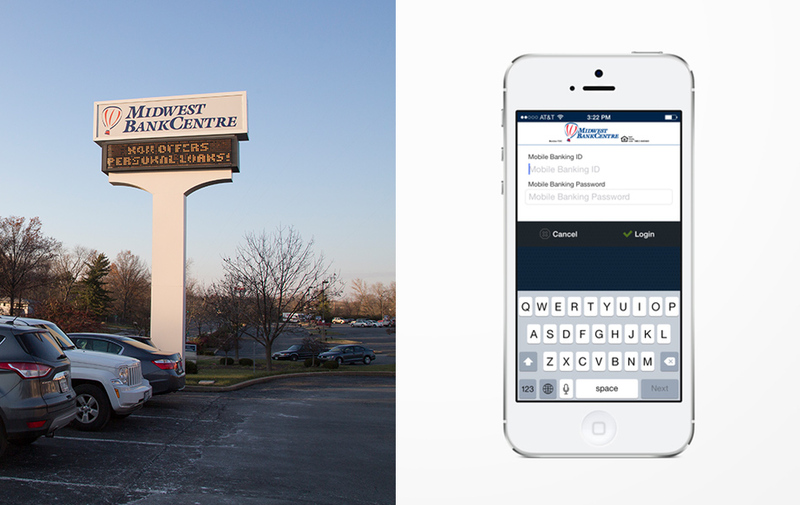 From the young entrepreneur looking to start a business in Bevo, to the family preparing for homeownership in Meramec Bottom, or the established customer in Oakville wanting to protect her assets, Midwest BankCentre (MBC) branches have focused on building St. Louis communities one customer at a time. 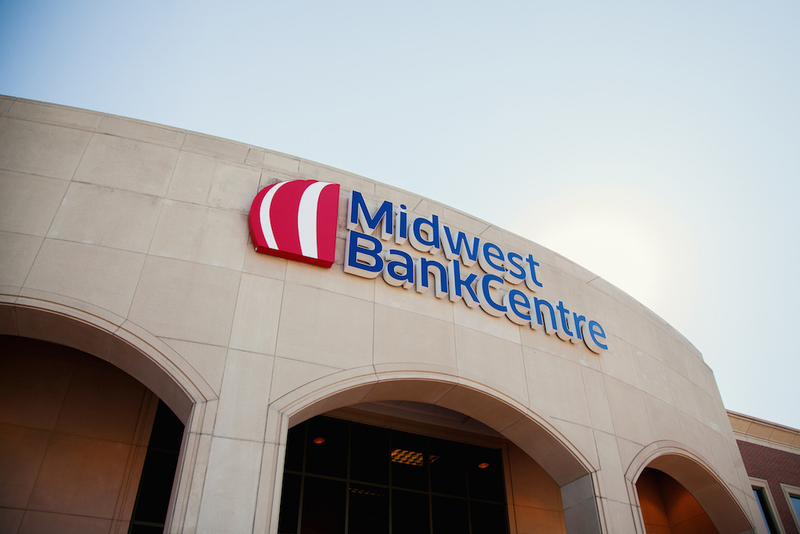 In 2014, Midwest BankCentre announced an entrepreneurial move of its own: the acquisition of Southern Commercial Bank, another of the area’s oldest financial institutions. As two banks became one, MBC leadership seized the opportunity to reconsider the brand’s look and language. TOKY kicked off the project with research, and a lot of it. Our team conducted interviews with the leaders of MBC and Southern Commercial to identify common strengths and goals between the two organizations. When TOKY’s strategists paired these findings with data from a broad customer survey, several themes came to the forefront: local focus, deeply personal financial partnership, and a commitment to personal service. Our strategy team culled these themes into brand promises — pledges of performance to be used by the team that supports the MBC brand day in and day out, from senior leadership to tellers and mortgage brokers. When it came to the company’s existing look, as Watson puts it, “not everyone was thrilled.” The hand-drawn balloon felt dated, and some described the mark as “amateurish” or “cartoonish.” Overall, the executive team agreed it was time to move on. “I thought it was important to move away from the balloon, but to retain a bit of it for the context of our roots,” says Watson. The bank’s board wanted to replace the existing logo and tagline with something that felt fresh and modern. Concepts for the mark varied from simple tweaks to full departures. 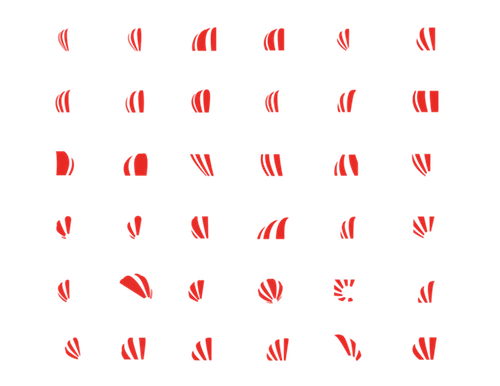 Throughout the creative process, the TOKY design team drew upwards of 75 balloon abstractions. “We gave them a number of options, ranging from similar to the existing balloon, to drastically different,” says Laura McCarthy, account manager at TOKY. While the abstracted look doesn’t scream “balloon,” it does retain a subtle reference to its predecessor. Customers and employees can see the full balloon-to-abstraction transition in the animated video below, which loops throughout the day in the lobby of MBC’s headquarters. Exaggerated serifs made the existing typeface hard to read from near and far, so TOKY’s next challenge was to find lettering that was both readable and modern. Lettering in the existing logo created issues with readability for both signage and smartphones. After experimenting with close to 50 typeface options, TOKY’s design team settled on a contemporary sans serif that is legible on both the app and billboards. The solution is clean, simple, modern, and highly functional. With seven existing Midwest BankCentre branches and nine Southern Commercial buildings scattered throughout the region, the rebrand presented a diverse range of signage challenges. The new logo would need to be clearly visible on pillars, light boxes, awnings, and raised letter signage from a distance and at any time of day. We sent one of TOKY’s in-house photographers out into the field to collect photos of the existing materials, then assessed the bank’s real-world requirements. 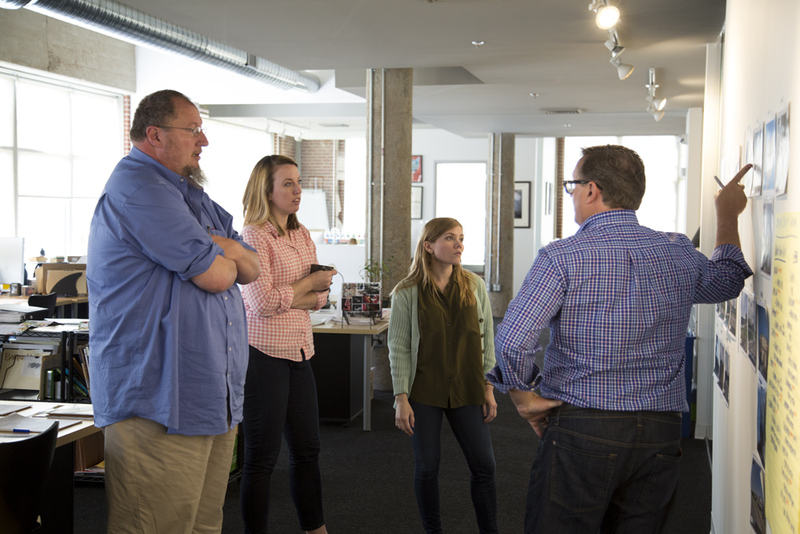 TOKY’s Seán Collins, Laura McCarthy, Kelcey Towell, and Eric Thoelke discuss signage options for Midwest BankCentre. With our recommendations, MBC invested in new signage to ensure prime visibility from all angles and at all hours. Signage at Midwest BankCentre’s Lemay branch showcases the new branding. 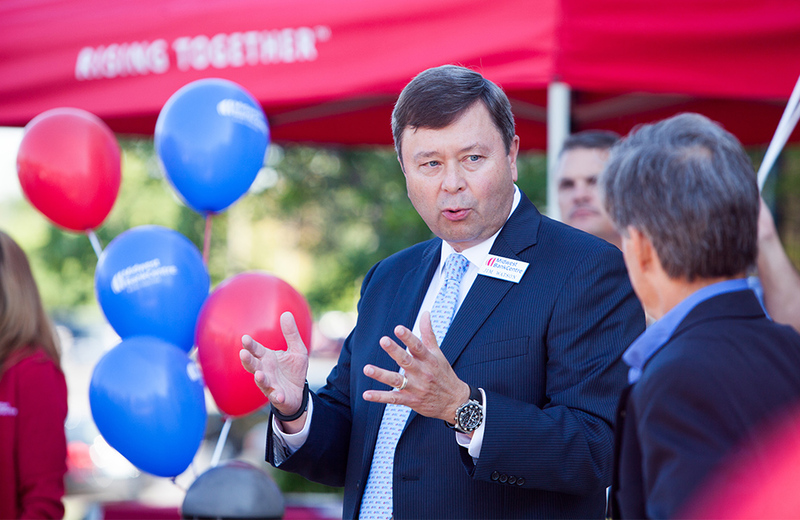 On August 21, 2015, Midwest BankCentre held an official brand unveil at its Lemay branch, with barbecue, balloons, and of course, the big reveal. “When we went out to the team, we felt so passionate about this that people came away going, ‘I get it, I understand.’ It was fun and it told the story of us coming together as one bank,” Dyer adds. 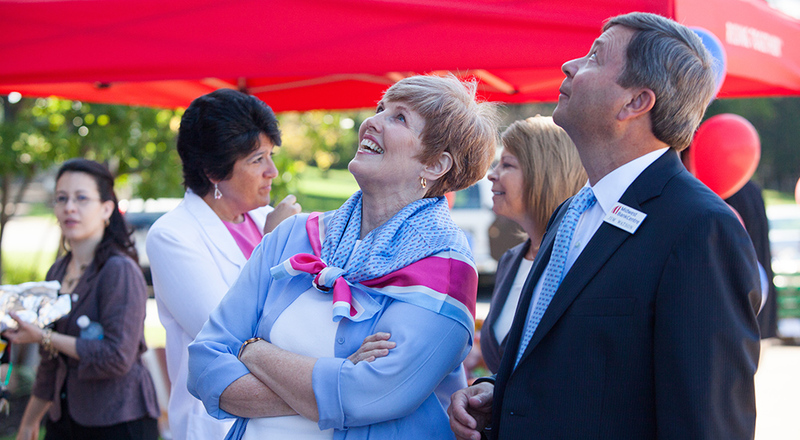 Members of the Midwest BankCentre team watch as new signage is revealed at the official launch party. 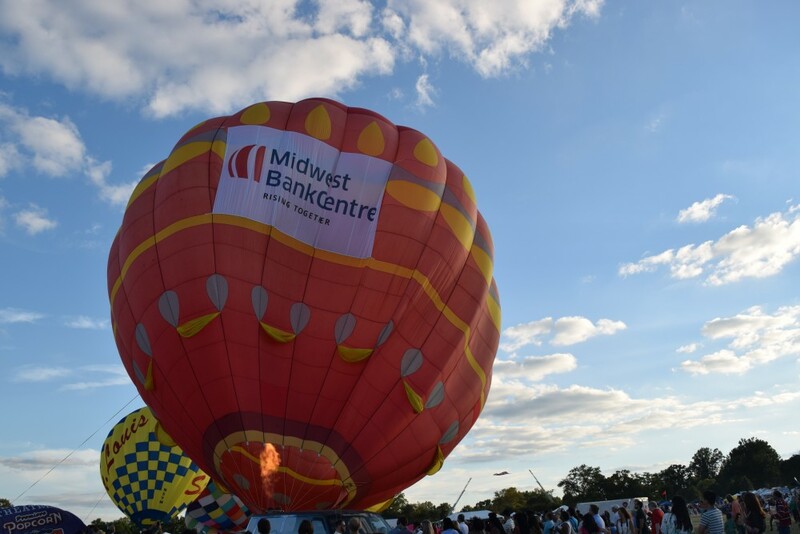 Keep your eyes peeled for the new Midwest BankCentre look around St. Louis — the signs and billboards are up, and the logo made an appearance at this year’s Forest Park Balloon Glow. Congratulations to our clients on rising to new heights! Members of the MBC team brought the new logo out for the 2015 Great Forest Park Balloon Race.